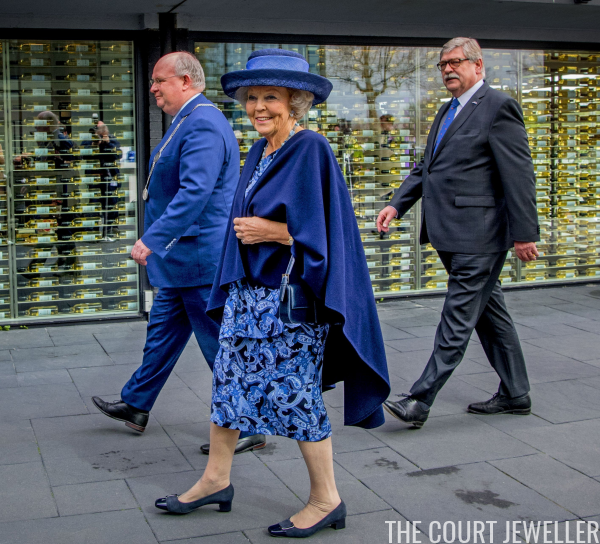 Princess Beatrix of the Netherlands visited Nieuwegein on Saturday to mark the the 40th anniversary of the Parkinson Association during World Parkinson's Day 2017, and she chose bright blue jewelry for the occasion. 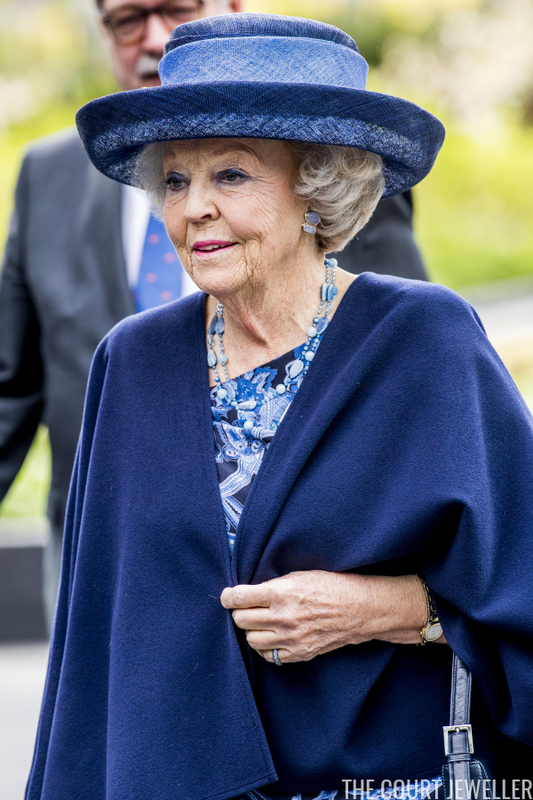 The cause is a very personal one for Beatrix, as her late husband, Prince Claus, suffered from Parkinson's Disease. 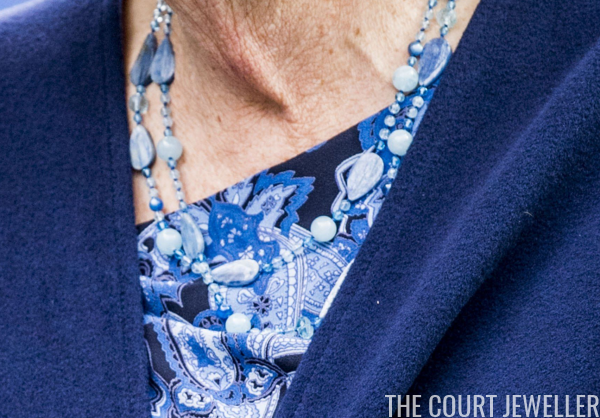 Beatrix wore earrings and necklace made of blue stones, as well as a glittering ring and a watch. 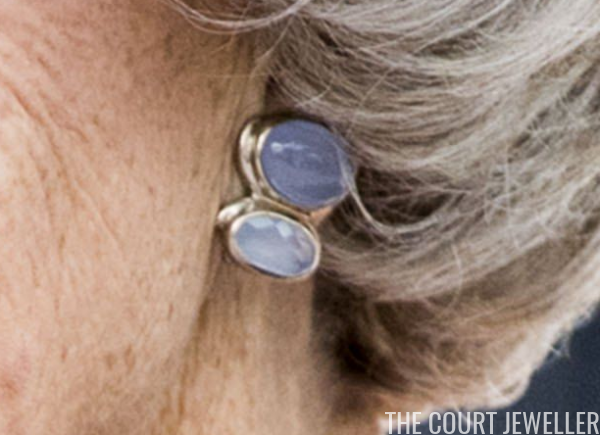 Here's a close-up of the earrings, which feature two different shades of blue set in silver-toned metal. The necklace combines blue stones of various shades and sizes. 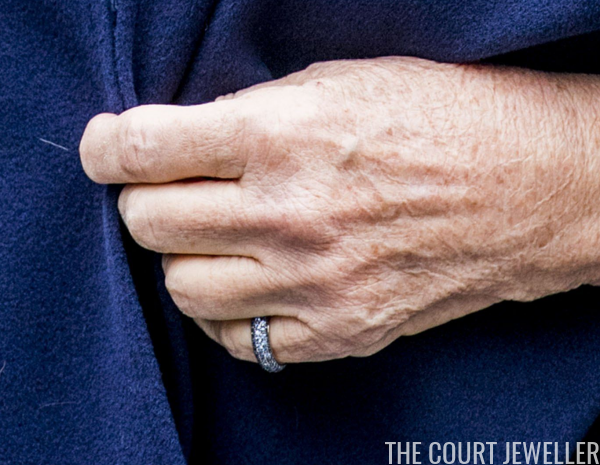 And here's a look at the sparkling, pave-set band that she wore on the little finger of her left hand.